Second in our series of three blog posts from Peter Balestrieri examining our holdings relating to Mary Shelley’s novel Frankenstein, or, The Modern Prometheus. On August 16, 1817, Mary began writing a letter to Marianne Hunt, Leigh Hunt’s wife. 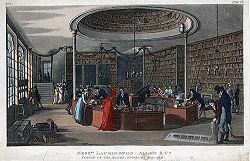 The Hunt’s and the Shelley’s were close friends, their correspondence is extensive, and many of those letters are held here in the Brewer-Leigh Hunt Collection. This particular letter, written by both Mary and Percy Shelley, sheds light on their daily lives as her novel Frankenstein faced rejections before its eventual publication and fame. Mary’s letter to Marianne is filled with family news regarding their pregnancies, need for a nurse, and the sad news of the legal decision to send Shelley’s children by his first wife to be raised by a clergyman. Mary also writes that she is sending the Hunt’s some money; they were always in need of money. Mary signs off with good wishes and encouragement, believing that things will improve for Marianne. One can imagine Percy Shelley entering the room at some point and asking, “To whom are you writing, my queen?” When informed of the letters’ recipient, he may have said, “Let me add a few lines when you have finished.” He does, and in these few lines we see a reference to Frankenstein and the trouble they are having with its publication. Percy Shelley writes, “Poor Mary’s book has come back with a refusal which has put me in rather ill spirits.” He is referring to Ollier’s rejection of the book and he goes on to ask if the Hunt’s know of any publishers that might be interested in it. 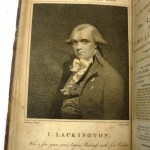 By the end of the month, the novel is accepted by Lackington’s and Frankenstein is born. 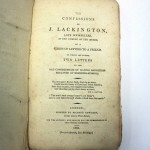 The letter can be viewed online at the University Library’s Digital Library, http://digital.lib.uiowa.edu/cdm/compoundobject/collection/leighhunt/id/89/rec/5 and in person (MsL S54hu) at Special Collections and University Archives in the Main Library. First of a series of three blog posts by Peter Balestrieri highlighting our collections relating to Mary Shelley’s Frankenstein. “It was a dark and stormy night” in June, 1816 that brought together some of Romantic literature’s shining lights to read ghost stories in the Villa Diodati near Geneva, Switzerland. Diodati had once hosted Milton and was now occupied by Lord Byron and his personal physician, John William Polidori. In attendance with them, were Percy Bysshe Shelley, his wife Mary, and her half-sister, Claire Clairmont. They shared a roaring fire and read to each other from a collection of chilling German folk tales. Byron suggested they each compose a ghost story and in the days and weeks that followed, they all began writing. Mary Shelley’s Frankenstein came from this night of inspiration, as did small pieces by Byron and Percy Shelley. Claire Clairmont may have written a story but there is no record of it other than a mention in one of Mary’s letters. The only other story of real note to be produced came from John Polidori. His Vampyre was the first vampire story in English and preceded Bram Stoker’s Dracula by three quarters of a century. It laid the foundation for nearly every work of vampire fiction since, including those by Anne Rice (The Vampire Chronicles) and Stephenie Meyer (Twilight). But who was Polidori and how did he come to be in Switzerland that cold, dark summer of 1816? John William Polidori was born on December 7, 1795 in London, the son of an Italian scholar and an English governess. His sister Francesca married Gabriele Rossetti and Polidori became uncle to their illustrious children, Dante Gabriele Rossetti and Christina Rossetti. Educated at the University of Edinburgh, Polidori graduated a doctor of medicine in 1815, only nineteen years old. 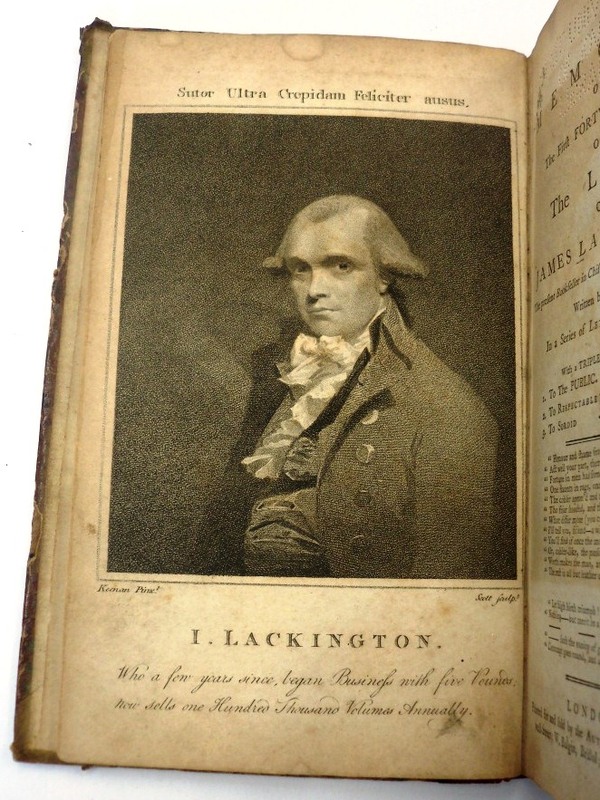 He wrote his thesis on sleepwalking and had aspirations to literature and fame. In 1816, he heard that Byron was planning a trip to the Continent and arranged to accompany him as his personal physician. The relationship between Byron and Polidori was uneasy at times and there are accounts of Polidori being mocked by Byron and later, his guests. They gave him the nickname, “Poor Polidori,” and let him know that he was not held in high esteem. On his part, Polidori was sometimes contentious or arrogant, trying hard to stand on equal footing with his talented and famous companions. After the night of ghost stories, he began work on one of his own but bogged down. He took up the suggestion of a plot by Byron and produced The Vampyre, an innovation in vampire fiction that substituted a handsome, aristocratic vampire for the ugly, misshapen monster that populated earlier fiction and folktales, the Nosferatu. Polidori’s vampire, modeled on Byron, is a handsome, dapper aristocrat who is powerfully attractive to women, his primary victims. He moves easily in the highest society and gives no indication of his true identity. Critics believe that Polidori and Byron’s relationship had deteriorated badly and there is much in The Vampyre that can be read as the doctor’s resentment toward his employer. Shortly after the novella was finished, Byron dismissed Polidori from his service. Polidori travelled through Italy, returned to England, and resumed medical practice. 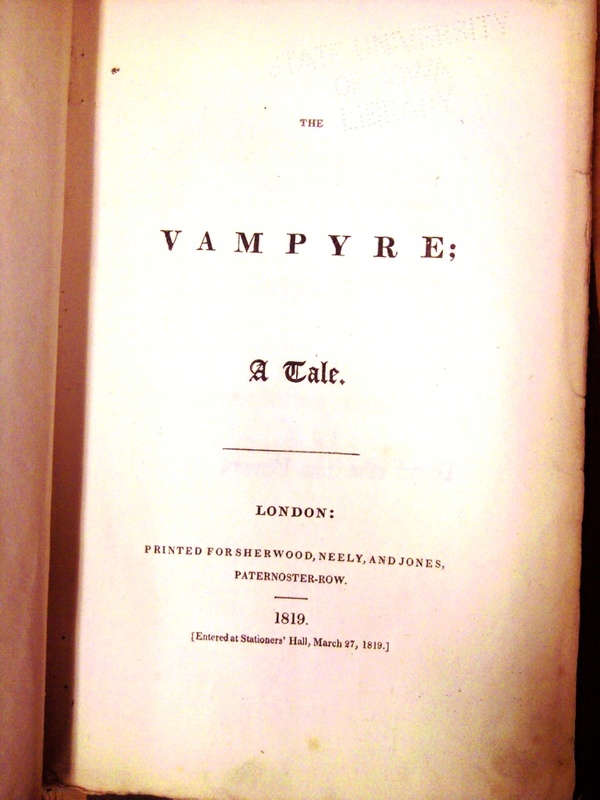 Under mysterious circumstances and without his permission, The Vampyre was published in April of 1819 by the New Monthly Magazine and attributed to Byron. 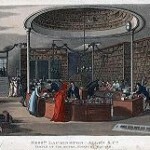 Byron and Polidori both sought to clear up the question of authorship but the work continued for a time to be attributed to Byron, a fact appreciated by the publisher who was profiting by the false connection. Polidori went on to write a long poem, The Fall of the Angels, but never became the author he hoped to be. In 1821, after years of increasing depression and gambling debts, he took his own life with prussic acid. He was twenty-five years old. 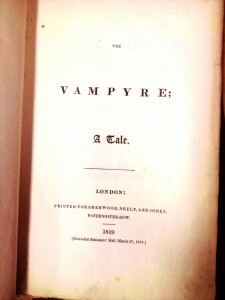 Special Collections has a first edition of The Vampyre, published in London, 1819, by Sherwood, Neely, and Jones. It is one of several works likely inspired by that evening at Villa Diodati available for viewing in the Reading Room. 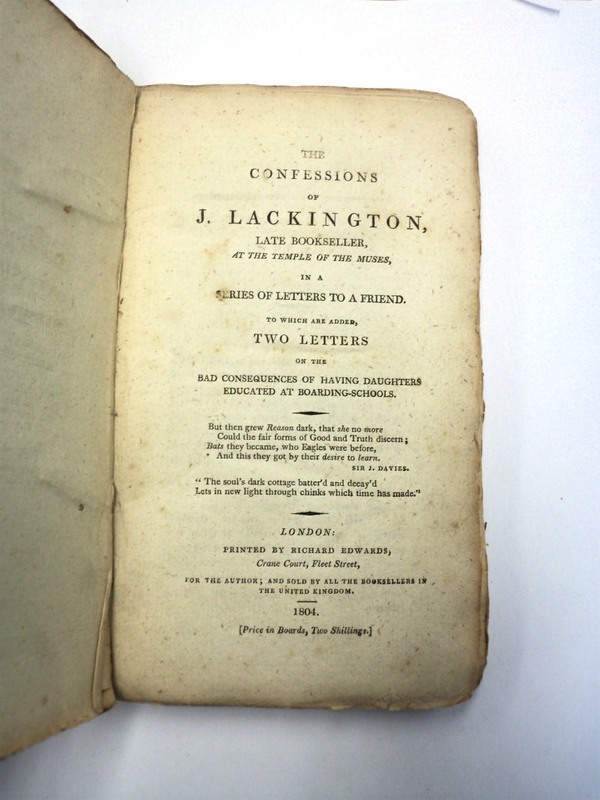 “Fragment of a Novel,” in Mazeppa : A Poem, Lord Byron, 1819. x-Collection PR4372 .M3 1819.